When it comes to any party entertainment hire for an event of any size you want to give your guests the most unforgettable experience you can but in most cases, you’ve a few restraints. Some of the most common we experience when working alongside our clients are space, budget and not fully knowing the potential of Fun Leisure! We’re always interested in getting as involved in an event as our clients would like us to be and our experience usually allows us to contribute to make events extra special. With over 30 years’ experience between our small office team, we’re perfectly placed to give great advice. We’ve got some favourite products of ours you may not have considered for your next event and some you may already be thinking about but you’re unsure of the benefits of them! The entire team LOVE the concept of the gunge tank and the events that gunge tanks have been hired for have always been the most fun! 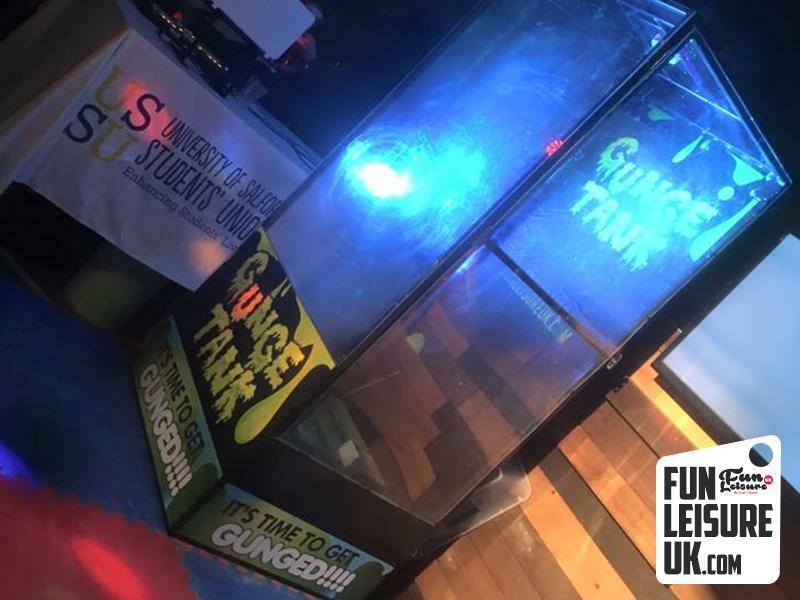 You could select a few people to take part in the gunging as part of a forfeit during a three-hour gunge tank hire. Our operators assist people in and out of the tank, conduct the countdown then away they go, covered in thick gunge from head to toe! Another great use of the gunge tank is to raise funds for charity and have volunteers collecting donations in the run-up to the big day to make the chosen charities plenty of donations as well as giving the crowd something to look forward to. Large corporations such as N Power have recently used the gunge tank as part of a promotional campaign as it raised morale, creating content for their social media channels and also gave their campaign more coverage. As part of a package, the classic interactive games create a hub of excitement as guests gather around the likes of air hockey, double shot basketball, strike a light and table football. Arcade style games are an inexpensive way to generate a lot of nostalgic affection and talking points. 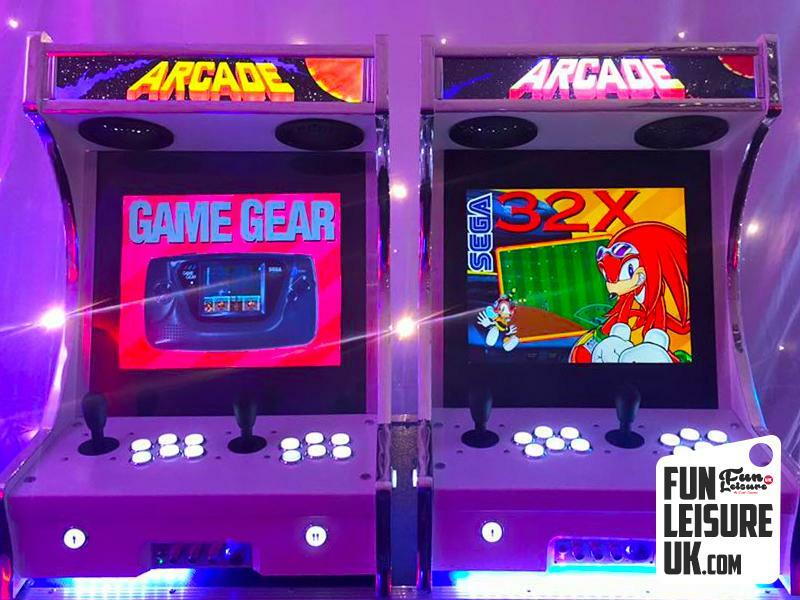 People love nothing better than getting together with their friends and playing games that are simple, competitive and that reminds them of their youth or the arcades. Strike a light is a favourite among clients as it allows two people to pit their speed and coordination against each other. Imagine whack-a-mole, minus the moles and insert flashing lights that change furiously to gain bragging rights over their opponent. Classics such as table football and air hockey are very straightforward and the benefit of these are the appeal to all kinds of guests at any kind of event. Whether an event is formal or casual and invitees are young or old, anyone can get involved with these games. Skill is required but mistakes are frequent and that creates a lottery kind of affect on these games as anyone can beat anyone! From the small screen in your bedroom in the days of PlayStation One and Two onto a big screen and into your event. We mentioned nostalgia earlier but this really is a blast from the not so distant past. The dance machine has no real negatives and as far as attractiveness is certainly one of the best to get instant attention. 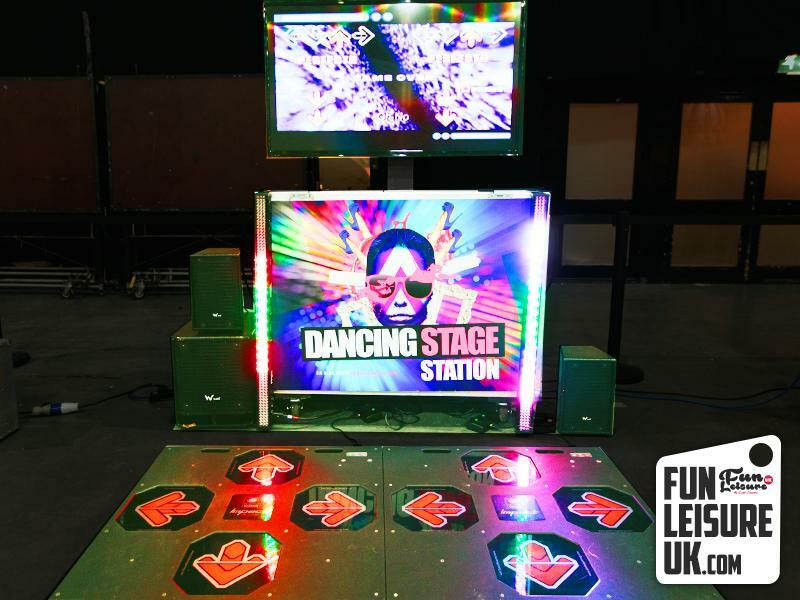 The dance machine hire is perfect for events where there are competitive and fun people in the room. Unlike the other games, you do have the potential to draw attention to yourself so you would expect self-conscious people to be a little put-off. This is where the dance machines old school vibe and the competitive side shines through and makes everyone feel comfortable. These are just a few of the ideas we pass onto our clients to add a little more sparkle to their events. For all these products and more inspiration, you can speak to our team on 01772 471 477.